Santa Rosa, California, (population 160,000) is located in Sonoma County, 55 miles north of San Francisco and about 30 miles east of the Pacific Ocean. The city was settled in the mid-1800s and was incorporated in 1867. In 1906, an earthquake devastated Santa Rosa; the downtown was in shambles, and 120 people died. After the earthquake, the town was rebuilt to contemporary standards. In the 1970s, agriculture gave way to a service- and business-based economy. Today, the town, the largest between San Francisco and Portland, Oregon, is the financial, medical, and shopping hub for Northern California. 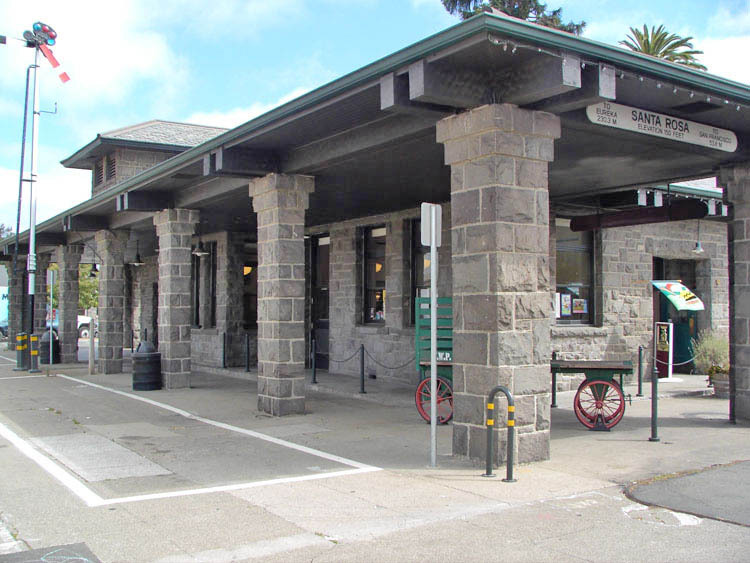 One of Santa Rosa’s main attractions is Railroad Square, which is listed on the National Register of Historic Places. The architecture of this specialty shopping district represents an authentic commercial district of the early 1900s. The Luther Burbank Home and Gardens, a National Landmark, features the famed horticulturalist’s home, carriage house, and greenhouse, as well as a memorial park and the gardens. Burbank, who lived and worked on the grounds, single-handedly developed modern techniques of hybridization. Walking tours include 19th and early 20th century homes in the St. Rose neighborhood; the Courthouse Square 1906 Earthquake Tour; and the Cherry Street District, one of the city’s oldest neighborhoods. During the weekly summer Downtown Market, visitors can take a trolley tour of historic neighborhoods. Annual Lamplight Tours in the rural cemetery feature vignettes about historic events or personalities.